The Yeoman Coldframe is ideal for growing your young plants and for providing a protected environment for tender plants. These coldframes, like all of our own manufactured products, are designed for function and looks, the old fashioned way, not for cost and ease of mass production. The lid of the Yeoman Coldframe has two side props that hold the lid in a wide open position as well as a shorter front prop that allows ventilation when needed. This cold frame is a solid construction in Cedar. The corner posts are 7.5cm square infilled with 3.0cm thick planking, jointed and bonded with a high grade waterproof adhesive. 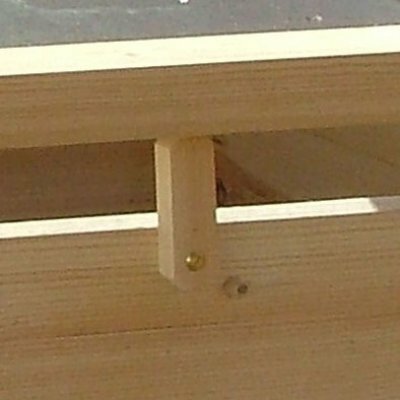 The lid is constructed from 9 x 4.5cm thick timbers, brass fittings and safety glass. One of the keys to successful cold frame gardening is to focus on vegetables that thrive in, or are least cold tolerant. A cold frame is not going to put ripened tomatoes on your table in January. But it will provide you with some of the best carrots you’ve ever tasted, lovely firm-fleshed leeks and scallions, as well as succulent cooking greens, and a host of salad ingredients.